Saving More Lives is the overarching vision that HWFRS can do even more to help people – whether it is saving and protecting them in their time of need or by preventing harm coming to them in the first place. Everything we already do ultimately boils down to saving lives and making a difference to people's lives in our community. The fundamental difference to what has been done before is that Saving More Lives is about expanding our work beyond the traditional fire and rescue service arena and being the best we can be, all whilst not losing sight of our essential services. How exactly will we save more lives? 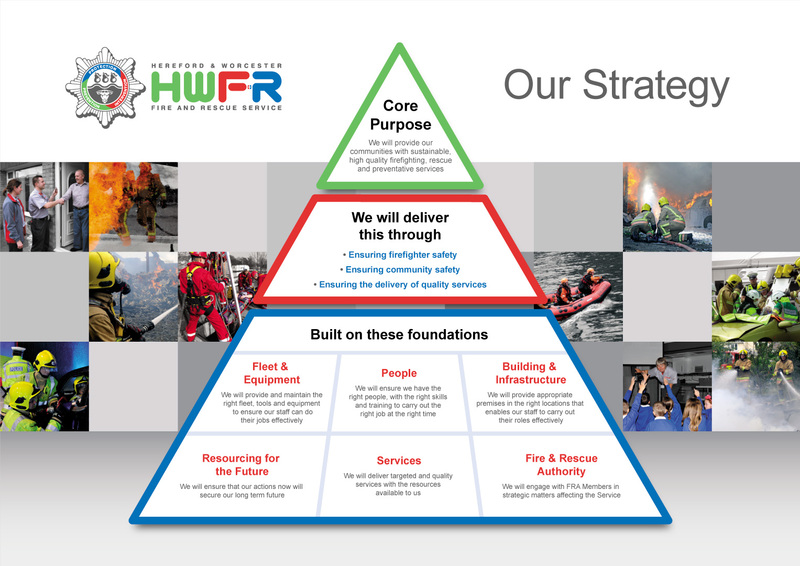 Our Strategy sets out broadly how we plan to achieve this vision however, the diagram to the right shows our corporate objectives and our strategic direction for the next 3-5 years which will help us on our journey of Saving More Lives. Understanding community risk, responding in the time of need, preventing harm and promoting wellbeing are all at the very heart of the plan, which are then supported by our Medium Term Financial Plan, the ICT Strategy, an Asset Management Strategy, and a People Strategy. But to be able to achieve this effectively and efficiently, we also need to engage and collaborate with our partners. In this dedicated section, you can read more about the work that we do to contribute towards Saving More Lives and find out about how each and every one of our staff makes a difference.